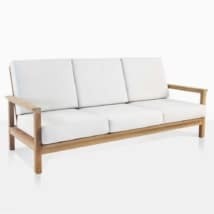 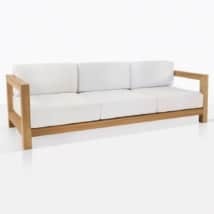 Manhattan A-Grade Teak Outdoor Sofa is a beautiful, bold outdoor sofa made with Premium teak and Sunbrella® cushions and makes a grand statement. 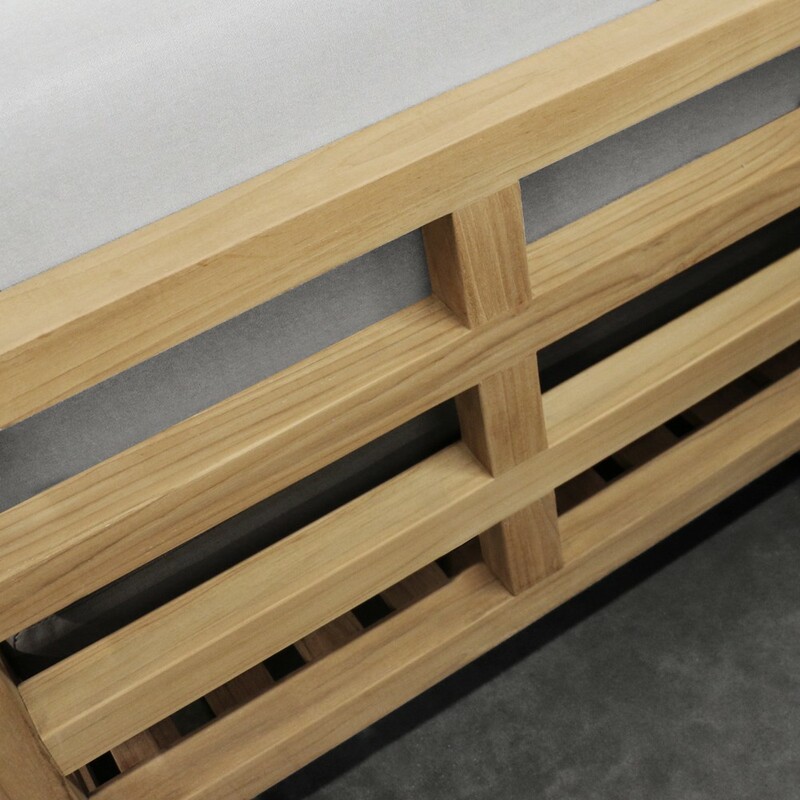 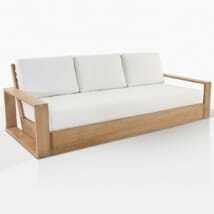 The linear feel is complimented by the plush cushions, and this collection fits well in so many environments. 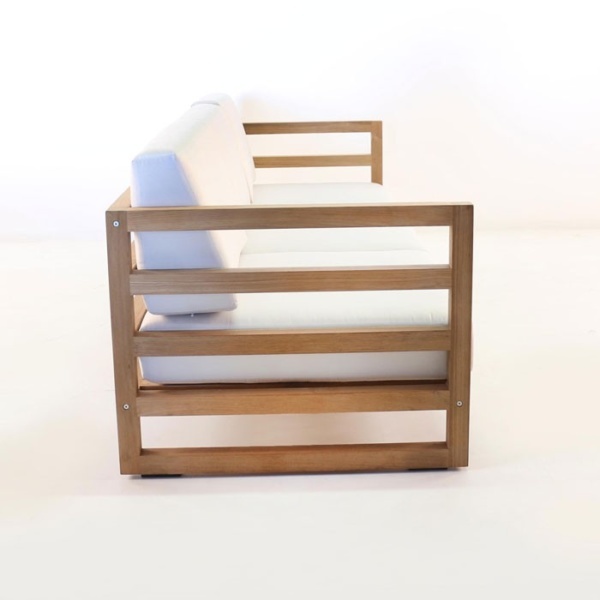 W94" x D34" x H31"
The Manhattan Collection is a beautiful, sturdy and bold new teak outdoor furniture collection, utilizing a linear, sharply angular frame and gorgeous Sunbrella® cushions for a perfect contrast between sharp and soft. 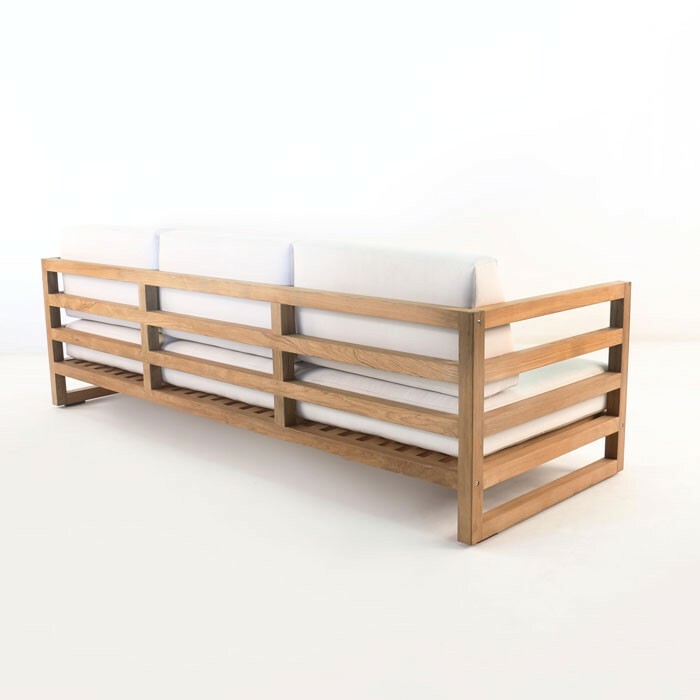 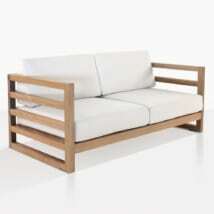 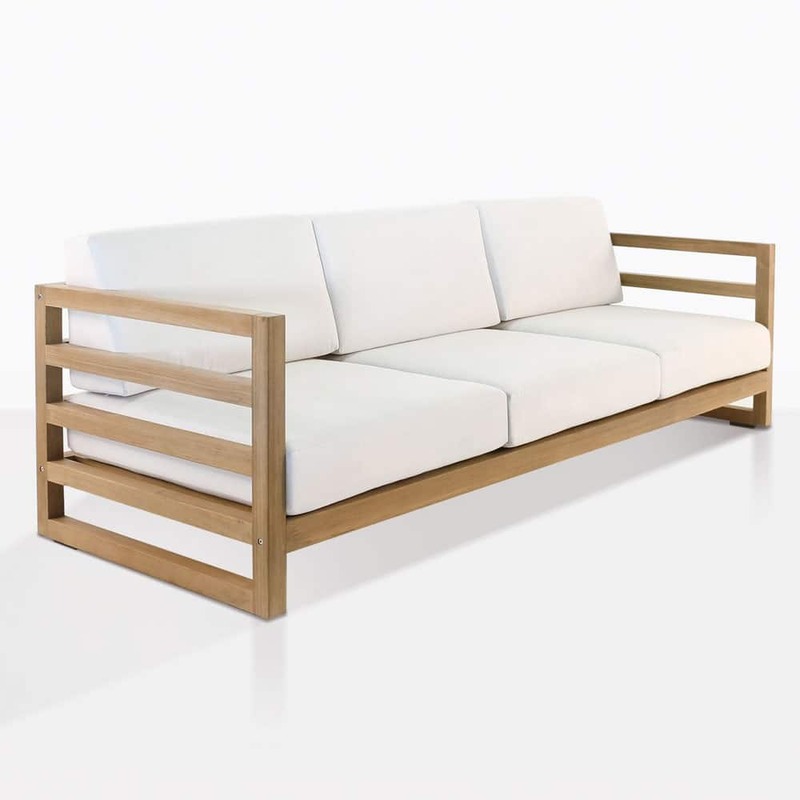 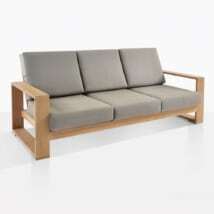 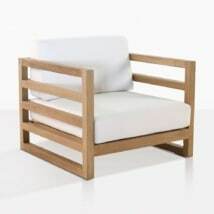 The Sunbrella® cushions are included as shown with this Manhattan A-Grade Teak Outdoor Sofa.